Climate change, refugee crises, and the growing wealth gap are just a few of the complex global issues that today’s generation of youth will be asked to solve. Young people are on the brink of inheriting a world in disarray, and their ability to orchestrate global cooperation in the face of seemingly insurmountable problems cannot be understated. The good news is that youth from the DC-Maryland-Virginia (DMV) area are proactively rising to these challenges and becoming engaged global citizens through their participation in Model United Nations. 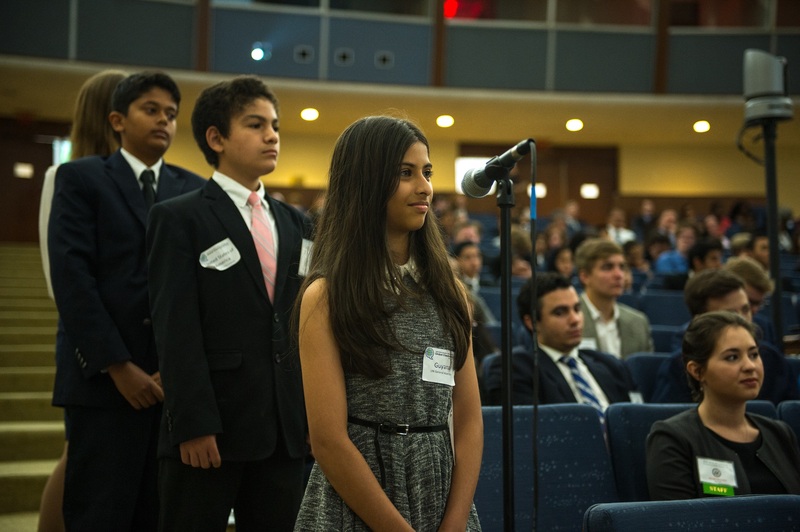 This spring, the United Nations Association of the National Capital Area hosted its 13th Annual Global Classrooms DC Spring Model United Nations Conference at the U.S. Department of State and the neighboring Pan American Health Organization. Nicol Perez speaks to the Model UN delegates in the opening plenary session. In her role with the UN, Perez has witnessed the power that young people have to affect positive change on global issues. She asserted that youth voices are critical to accomplishing the SDGs, and in her opinion, Model UN has the potential to create space for youth engagement. “Events like this one are a testament to the many efforts…to make sure young people…are building the skills needed to be active and key participants at decision-making tables,” she explained. 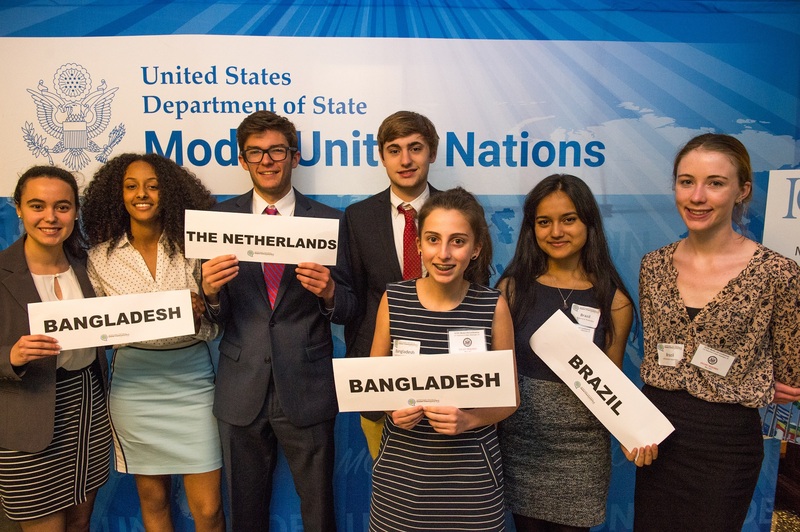 Model UN equips young people with the skill sets needed to take part in global problem solving thanks to a fundamental aspect of the experience: the cultivation of citizen diplomacy. 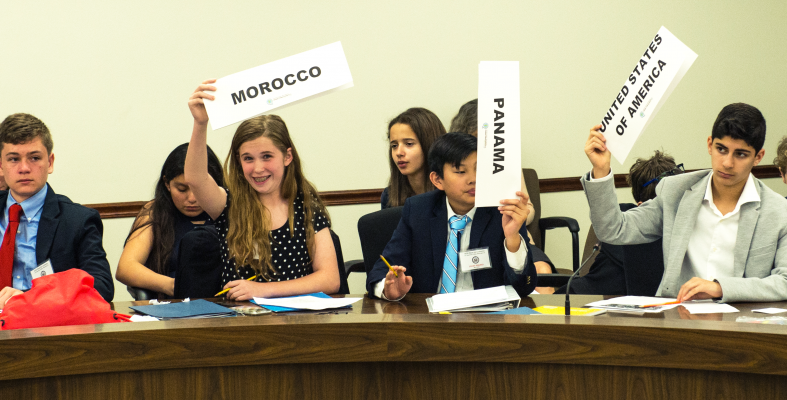 While participation in Model UN has the obvious benefits of public speaking and debate skill development, it also builds global fluency, differentiating it from similar extracurricular activities. Citizen diplomacy is the concept that every global citizen has the right, even the responsibility, to engage across cultures and create shared understanding through meaningful person-to-person interactions. Model UN facilitates these cross-cultural interactions through debates on real-world issues in a simulated environment, aligning it with the broad objectives of citizen diplomacy. What makes this particular exercise in citizen diplomacy unique is that Model UN offers DMV students an opportunity to build their diplomatic proficiency without ever leaving home. In this way, Model UN demonstrates that cross-cultural engagement does not just occur across country borders, but that citizen diplomacy can occur in spite of geographic limitations. Model UN participants take a moment to pose with their country placards. The institution is unique in that it enables students to build their global fluency through interaction with other local students. As global fluency develops by interfacing with peers, Model UN demonstrates that such skills are not only accessible to those with the resources to travel the world, but also to anyone interested in cross-cultural communication in their own city. The process of preparing for and participating in Model UN doesn’t only enable a student to recite the GDP of Kenya or the population of Laos. Beyond the memorization of country facts, students analyze and understand a nation’s perspective on global issues. For instance, the middle school student representing Ethiopia in the United Nations Security Council session on the situation in Somalia is not only aware that the two nations share a border of over 1,000 km; but he or she also has an understanding of Ethiopia’s perspective on how global responses to this situation will impact its citizens and strategic interests. Delegates representing their assigned nations contribute to the debate. In analyzing a country’s perspective on global issues, Model UN delegates are encouraged to view the world through a different lens. This change in worldview creates understanding and empathy. 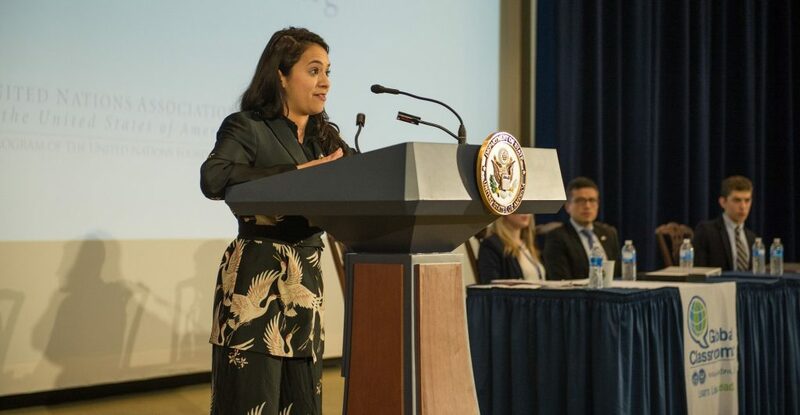 Hosted by the State Department, the conference setting also helps participants to share and rationalize this perspective with others, expanding their understanding of cultural differences and interconnecting the globe from a single room in Washington, DC. Worldwide, the youth population is projected to grow by 7 percent by the year 2030, accounting for more than one out of every six people. Nicol Perez’s keynote speech recognized the critical role youth will play in our rapidly changing global context. She noted that as the largest youth generation ever, young people must be at the decision-making table because they will soon be the ones driving change. As the global youth population continues to expand, the need for youth ownership of global issues will continue to rise. Creating opportunities like Model UN for youth to engage in citizen diplomacy will build a generation of engaged global leaders who can confront the problems of today and tomorrow. All photos courtesy of Elliott Lyles.